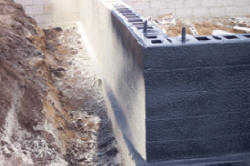 Basements need insulation, which means insulating your foundation. According to the DOE, 20% of energy loss in residential structures can be attributed to loses through improperly applied basement waterproofing measures, such as foundation insulation with spray foam insulation. Basement Waterproofing with Spray Foam Insulation is another of many insulation types, done NES spray foam by insulation contractors in Minneapolis. 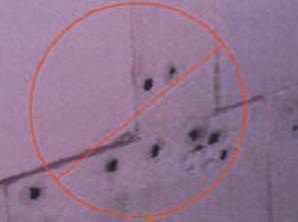 SPF does not need fasteners to hold it in place, it attaches chemically to the surface that it is sprayed to. This eliminates damage (piercing) of waterproof membrane by metal fasteners. Spray Polyurethane Foam: Provides a seamless area of insulation and seals cracks and crevices. Insulates and waterproofs in tight areas and hard to reach areas. No gathering of water in the cove footing area (at base of the foundation). Will not settle, adds structural strength, helps to prevent structural foundation cracking, seal cracks and crevices from unwanted odor and gas penetration. SPF stops moisture driven elements due to its solid nature and sealing abilities. Applied over the SPF is a black polyurea (bed liner spray) for a hard shell protective coating to double the blockage of water and protect the foam from damage. There is no shifting with SPF (sheets allow shifting to take place during frost-freeze-thaw cycles and also during backfill.) Traditional sheets/drainage boards pull away from the foundation allowing rock and debris between the board and foundation.Spray Polyurethane Foam seamless adhesion eliminates pulling away from the foundation. 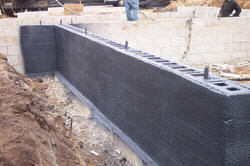 SPF applied directly to the block, or poured concrete basement walls/foundation provides a fully-adhered, monolithic layer of insulation on the outside of the basement wall/foundation.